It is strongly adviseable to pre book your sessions in advance. Click here to book. Spectrum offers a wide range of fitness and group exercise, dance and water based exercise classes, that appeal to both men and women regardless of age and ability. All our classes are led by internationally qualified, highly motivational, inspirational instructors and teachers. 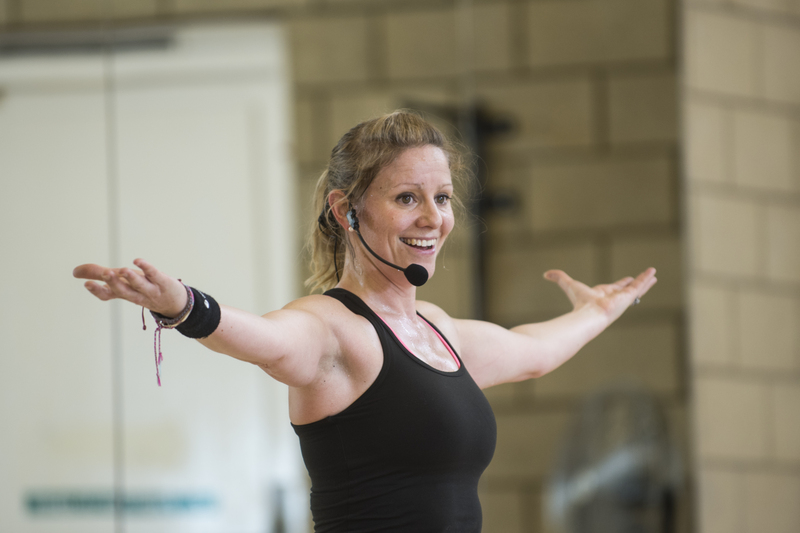 Our programme gives you access to over 100 weekly fitness classes including all the latest trends from Les Mills, group cycle, aqua, mind & body and dance classes. Did you know we also offer fitness courses for Juniors & Teens who are interested in starting their fitness journey... click here to find out more. Classes are free to members or payable £3.60 per class to non-members. Bookings can be taken in advance for those with an Active Card. Usual booking terms and conditions apply. The ultimate cardio vascular workout on a bicycle, that also tones and shapes the whole body. People at different fitness levels can workout together in a relaxed and fun atmosphere with motivational music. The timetable of classes is available on the above link. For Health & Safety reasons, tickets will not be sold to customers arriving 5 minutes after the class start time. Tickets must be handed to the Instructor, no entry without a valid ticket. The instructor must be informed of any injuries or medical conditions which may affect participation. Term-time only classes will not run during the school holiday periods. Classes may be subject to change, please click here to check programme changes in advance of attendance. Active Cardholders can book fitness and group exercise classs 14 days in advance. Non members can book classes on the day. Booking is recommended to avoid disappointment. No refund of fee can be offered if a cancellation is made on the same day as booking. Cancellations must be made 24 hours in advance to receive a refund credit transfer. If you cannot attend a class, please call and cancel your place so that someone else can benefit.